The California Education Code designates the last two full weeks in September to be High School Voter Education Week. This provides an opportunity for high schools and their students to partner with county elections officials to promote civic education and participation on campus and foster an environment that cultivates lifelong voters and active citizens. 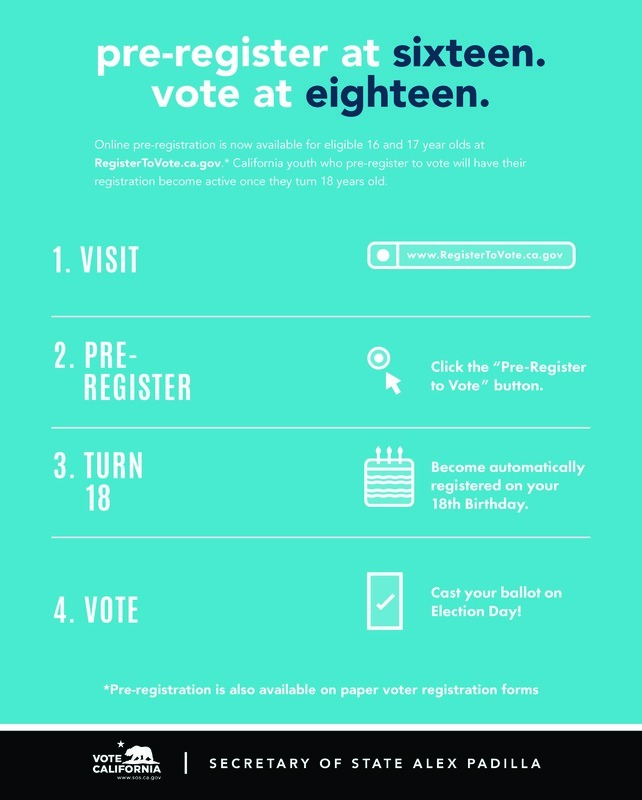 Below is a list of resources to assist with the promotion of these High School Voter Education Weeks.